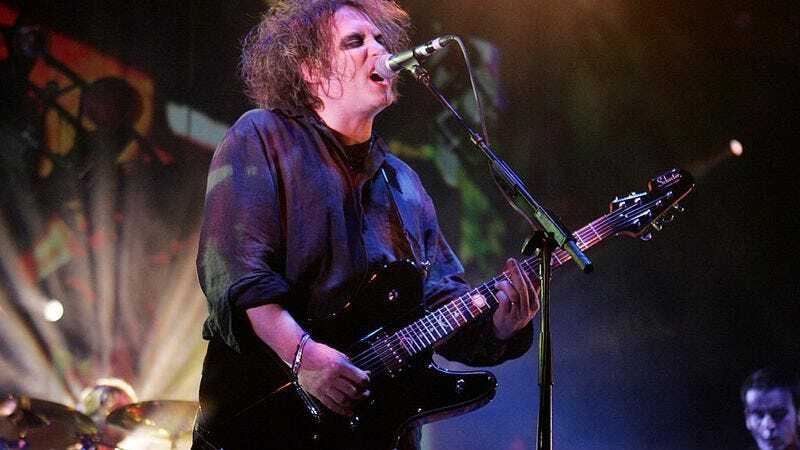 The clouds haven’t broken in Chicago for days, and the incessant rain continues to test all our best waterproof eyeliners and mascaras, which has inadvertently primed us for new music from The Cure. The band is out on tour with fellow gloom-rockers The Twilight Sad, and according to Overblown, their recent stop in New Orleans featured the debut of two new songs. The first is “Step Into The Light,” which sounds like a bit of a taunt from where we’re sitting, but is really just a classic Cure track. “Step Into The Light” was accompanied by a similarly brooding song called “It Can Never Be The Same.” (These are unofficial titles.) It’s a swirl of synth, bass, and distortion, and yes, we’re still thinking about these damn rain clouds overhead. Anyway, we’ve included the North American tour dates below.